This project is very easy and will be fun also for beginners. A finished blanket measures 32″ x 32″ and you will be able to complete it in 2 evenings. To make this blanket, Bernat Pipsqueak Stripes was used, but you can use yarn of your choice. A link the free pattern is at the end of the post. 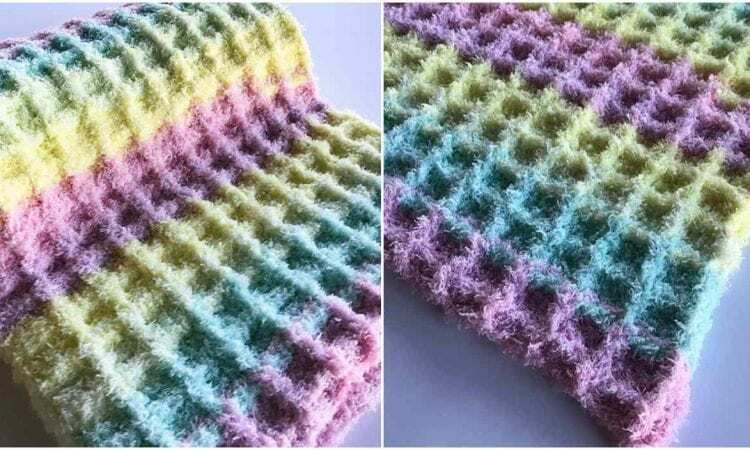 I love the waffle stitch, this looks so soft and warm.